Show students what a mol dm-3 solution of NaCl actually is. Make it up in front of their eyes and all will become clear. 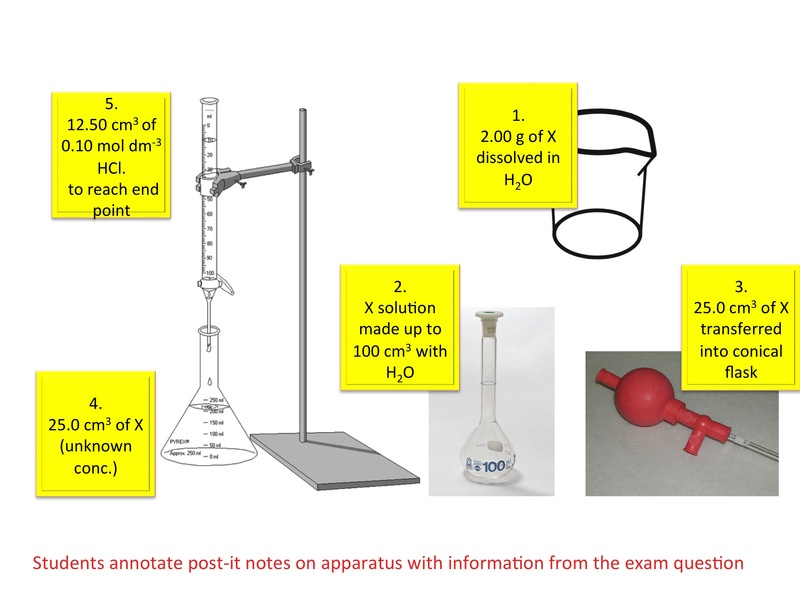 Relate the quantities to the units: 1 mol dm-3 is simply means 1 mole in 1 litre. Now it makes sense! Never use triangles – these are hazards to learning and will only create problems in the future. If students can’t rearrange equations then teach them how to do it!